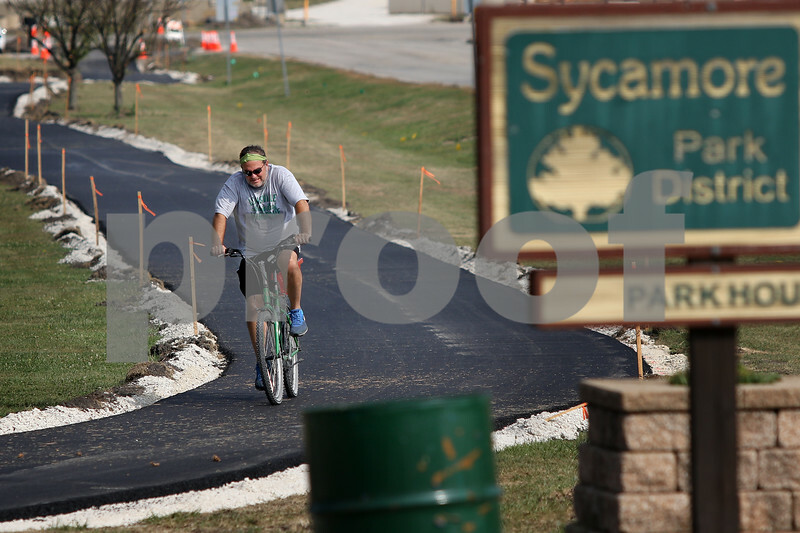 Kevin Lovell of Sycamore rides down the newly constructed bike path that connects the Great Western Trail to the bike path at the Sycamore Community Sports Complex on Tuesday, Sept. 26, 2017 in Sycamore. Cyclists previously had to share the narrow and heavily trafficked section of Airport Road with motorists, but the new path allows them to travel safely adjacent to the road. Lovell, who was on a ride down to Maple Park and back, stated that the new path is "way cool," adding that "it keeps you off the road," a concern that many cyclists had previously.